Dr Ziqun Joanna Han is Today Translations’ consultant on Pharmaceuticals and Biotechnology, and Director of Zen Medical Science Consultancy. 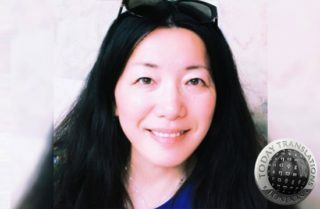 With Zen Medical Science Consultancy, she has helped some of the largest pharmaceutical, biotechnology, consumer health and medical device companies such as Biogen, Takeda, and GSK. This has included providing competitive regulatory intelligence and actionable insight to multidisciplinary teams and management on emerging regulatory strategies, utilising EPARs, EMA/CMDh timelines/procedures, relevant guidelines as well as comprehensively analysing competitors’ product development portfolio and post marketing information and strategies. She has also identified, assessed, and communicated critical global new development on clinical trial transparency, clinical trial guidelines, biosimilars, PIP, adaptive licensing pilot, EMA-HTA and more. Prior to her current position, Joanna established and matured regulatory intelligence support for the JAPAC region at Abbvie, and has worked as a research scientist and manager developing vaccines for Pfizer and BioVex. Dr Han holds a PhD in Molecular Pharmacology and an MBA from Imperial College London, as well as a degree in Medicine from the Capital University of Medical Sciences, Beijing.